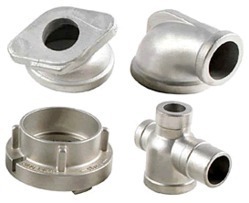 Prominent & Leading Manufacturer from Rajkot, we offer nickel investment casting. Cobalt and nickel investment castings, also known as monel alloys or super alloys, provide high end corrosion and abrasion resistance at the most extreme temperatures. When it comes to investment casting, Cobalt and nickel share many mechanical properties with stainless steel castings, but are designed for even greater strength and oxidation resistance. Nickel is commonly used in high temperature liquid and gas flow control. Nickel is one of the few alloys capable of resisting the high temperatures these pipes produce. Looking for “Nickel Investment Casting”?